This is the first year I have taken the time to see all the nominees and pay close attention to the Oscar race. I love film, and this has been a fun experience. I think I’ll have to make this an annual tradition from now on. Not only do I actually have an informed opinion about who I would like to see win on Sunday, but I got to see several really good movies I probably wouldn’t have even bothered watching otherwise. As promised, here are my predictions (or best guesses, anyway) for the winners of the major categories for the 2014 Academy Awards. As much as I love Jennifer Lawrence, I thought Lupita Nyong’o’s performance in 12 Years a Slave was incredible and I’d love to see her win the Academy Award. However, I have a feeling voters may lean toward Lawrence. To be honest the only performance I’m ambivalent about in this category would be Sally Hawkins. I’d be happy with anyone else winning – but I have a feeling it will be Lawrence. I love Bradley Cooper and Jonah Hill, but I honestly don’t think either of them particularly deserve to win this category. Both were entertaining in their roles, but the other three in this category are so much more deserving. Barkhad Abdi was fantastic in Captain Phillips, and I would honestly like to see him win. 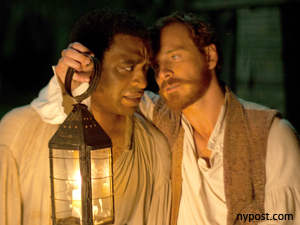 However, Jared Leto was also excellent and Michael Fassbender was chilling as a cruel slave owner. Of those three I’m going to have to pick Leto for the win. This is where the choices start getting more difficult. I think Sandra Bullock is the throwaway here. While her performance was powerful, I don’t see it having a chance against the other nominees. I would like to see Meryl Streep or Judi Dench win; I loved both in their nominated roles and they’re equally deserving. 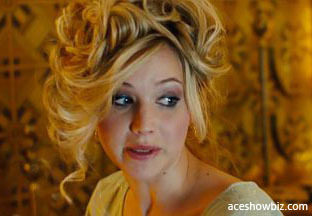 However, judging from the praise Cate Blanchett has received for Blue Jasmine I suspect she may end up the winner here. This is possibly the hardest category. All the actors nominated are deserving of this award. I loved Nebraska and Bruce Dern was wonderful, but I think he is the least likely candidate. I would like to see Chiwetel Eijofor win, but that could be my bias based on the fact that I loved his performance in Serenity. Leonardo DiCaprio gave a terrific performance in Wolf of Wall Street, however I think this will likely come down to Bale or McConaughey and between them I think McConaughey deserves the win. I am much less equipped to judge directing than acting, so I wouldn’t trust my judgment in this category. As I’ve said before, I loved Nebraska – it’s one of my favorites among the nominees – but I don’t think it’s going to win any of the big awards. I think David O. Russell or Alfonso Cuarón are the most likely winners in this category. I don’t think Gravity has a chance of winning Best Picture, but I really think Cuarón just might walk away with Best Director. While each film, even the ones I didn’t enjoy as much as the others, had qualities that I enjoyed the top four films on the above list are my favorites. I know there’s been a lot of talk about American Hustle winning Best Picture, since David O. Rustle didn’t win for Silver Linings Playbook last year, but while I enjoyed the film I just don’t see why it’s an Oscar contender. The plot, though a fun ride, is very difficult to follow and at the end I was wondering what I had just watched. Wolf of Wall Street is just so insane, I really don’t see that one winning. Though I loved Philomena and Nebraska, I don’t think either has a broad enough appeal to come out on top – same for Her, which was probably my least favorite. Captain Phillips was a really good movie, but it just didn’t have that spark that makes it stand out from any other well-made suspenseful film. And as much as I loved the visual effects in Gravity, I just don’t see that one winning either (though as I stated above I think Cuarón has a good chance of winning Best Director). 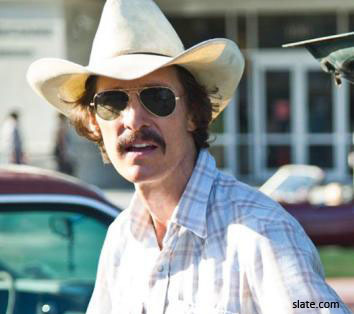 I think the race is really between Dallas Buyers Club and 12 Years a Slave. I think either of those two deserve more than anyone else in the category, but I think 12 Years a Slave just has something more that Dallas Buyers Club was missing. For that reason I think 12 Years a Slave should win, but will it? I guess we’ll find out on Sunday.